Friday, January 8th at 10:30pm. Tickets are $5 at the door. 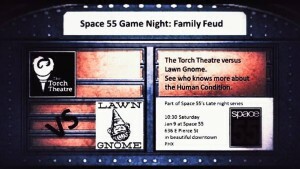 This is Family feud, late night Space 55 style! 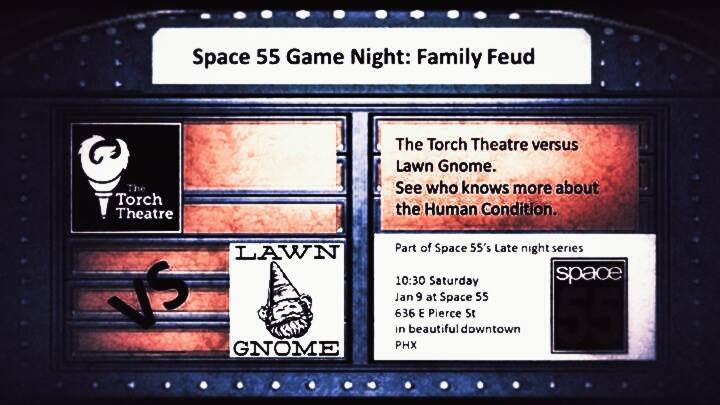 Lawn Gnome Publishing faced off against The Torch Theatre to determine who knows more about the human condition.